I became involved with Golden Key within a few months of its founding in 1977 and today, I am Executive Director. Even though I devoted 35 years to building a career in real estate, I have always been intimately involved with Golden Key. For all Golden Key’s 40 years, I have been a champion and a believer. The Golden Key story began in 1977 but the events that led to my involvement can be traced to the fall of 1973 when I was a freshman at the University of Mississippi. It was then that I met Jim Lewis, who is rightfully recognized as Golden Key’s founder. Jim and I got to be buddies, so much so that we decided to room together our sophomore year. Even though Jim transferred to Georgia State during his sophomore year, we remained friends. And as things turned out, we worked closely together as Golden Key grew and developed. When he was completing his senior year at Georgia State, Jim saw that there was a need for a new kind of honor society. So he talked to students, got people interested, and ultimately obtained approval from the University to invite students to join the organization that would become Golden Key. The seminal idea was to create an honor society that would extend membership invitations only to top academic achievers – students whose GPA fell within the top 15% at their schools. Jim felt that idea would resonate very well with top students, so invitations were sent out. The response was very good, and the first induction ceremony took place on November 29, 1977 at Georgia State. Based on that response, Jim saw the he had an idea that was worth pursuing – one that would resonate at other universities as well. A woman named Mary Evans became the first secretary. And the fledgling staff was soon joined by another student, Steve Pracht, who shared the vision for Golden Key. Things were off to a good start and Golden Key was highly successful wherever it went. Activities increased at such a pace that Steve got excited and worked for a year without taking a paycheck. Much of the credit for the early success and growth of Golden Key should be assigned to Steve Pracht. Steve worked full time for the Society for about 25 years and still contributes to its mission. 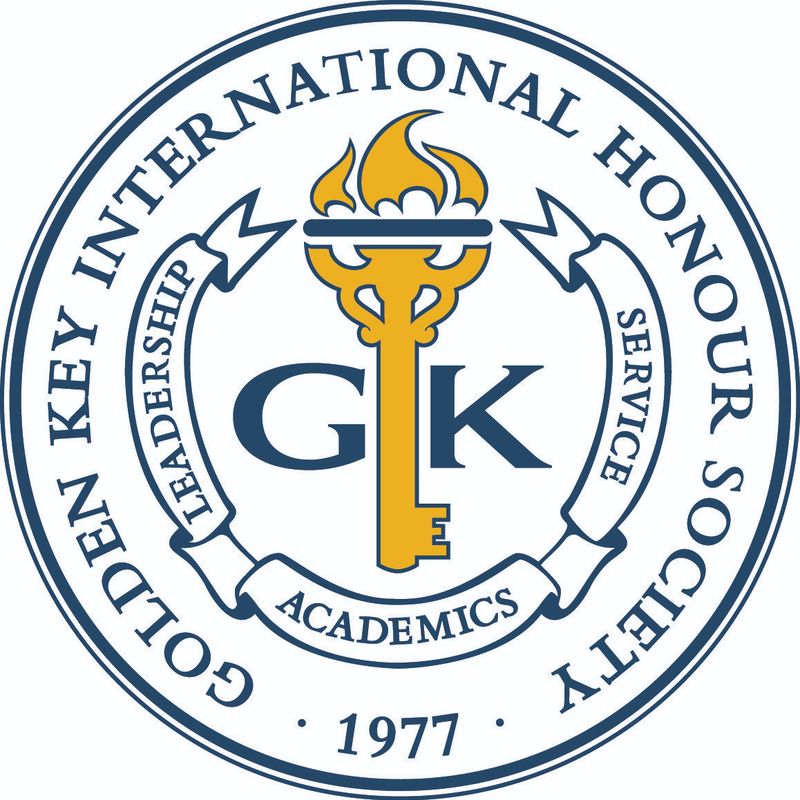 One reason for Golden Key’s immediate success, I believe, is that it was more ambitious in vision than other honor societies, some of which I was also involved with at the time. One of them was Phi Kappa Phi, really quite a distinguished society. Being tapped to join was, and is, quite an honor. But at that time, Phi Kappa Phi didn’t get too involved with ongoing student activities or programs. Members were nominated by faculty members. There was a very elegant induction dinner, but then not too many more things happened. Golden Key was conceptualized in a different way. As I noted above, only students who had performed to a high academic standard – the top 15% of students – would be invited to join. That was different from being nominated by a committee that weighed a variety of factors. Another difference, from the start, was that Golden Key would provide funding to chapters and let the students who led them control what their Chapters would do, and how they would spend their Chapter’s fund. Activities were planned and run by the Chapters, not by the governing organization. That led to some interesting developments. The founders of Golden Key didn’t at first envision it as an organization that would get extensively involved in community service. That activity was actually born in the Chapters. We discovered that when you get a group of high-achieving people together and provide them with funding and other resources, great activities begin to happen almost spontaneously. And when students are given the resources to develop activities that have meaning for them that generates a lot of enthusiasm. From the early days, Golden Key took a portion of the membership fees received and turned right around and used them to provide scholarships for members in every Chapter. Offering scholarships and financial aid to members is a foundational activity for Golden Key. It remains a central part of our vision for supporting high achievers. As Golden Key was expanding to new campuses, it got a certain amount of pressure from the administration at Georgia State to incorporate, to file for proper status with the IRS, and to organize a Board of Directors and be properly governed. That was in 1978. I became a Board member, and I have remained involved with Golden Key for its entire 40 years. During those years, I took on many roles, including Chair of the Board, Vice Chair of the Board, Chair of the Finance Committee, Secretary of the Board, and Chair of the Compensation Committee. But I did not actually become an employee of Golden Key until November of 2011. At that time, a search began for a new Executive Director to helm the organization. The Board asked me to watch over the activities of the staff while the search moved forward. But I was then given the opportunity to serve as Executive Director, a position that I gladly accepted. I had spent 35 years in real estate business, and assuming another leadership role at Golden Key was a natural step for me. I have greatly enjoyed serving as Executive Director, and I am extremely proud that over the last four years alone, Golden Key has awarded millions of dollars to our members in grants and scholarships. There have been many other activities that have made me especially proud. Over the last few years, we have placed additional emphasis on providing members with opportunities to have international experiences. We’ve been providing travel grants that have helped Golden Key members travel to countries outside their own regions to attend conferences. For example, we are providing travel grants to attend the 6 Leadership Summits that we will host in 2018 for student members in the United States, Canada, South Africa and Australia. As it has been in the past, we are deeply committed to programs that give students the opportunity to study abroad – international experience. Golden Key is an international society and most of the credit for our presence outside of the United States is due to Mark Herndon who is currently serving the Society as Vice President – International. I have had the opportunity to meet outstanding students from all over the world. As you know, we have operations in countries that include Australia, Canada, Malaysia, New Zealand, South Africa, and more. I am always impressed at the caliber of our members, just incredibly moved by the stories of many of the people I have met. One is Kenechukwu Ikebuaku, a young man from Nigeria whom I first met at a conference in Australia. Thanks to his hard work and with the support of Golden Key, he first became an outstanding student. He is now in the process of launching Nigel International, an organization whose mission is to expand opportunities for young people in Africa. He is now a graduate student at the University of Texas and he is working with Onesimus Technologies, a company that helps Nigerian youth start and run their businesses. Kene is an inspiration. And a few months ago, I got to know another Golden Key member named Omarwalid Noorazada, an outstanding student and Fulbright Scholar who has traveled all over the world as a Golden Key Chapter President. It is immensely rewarding for me to be involved with so many great students who are performing at such a high level and doing outstanding things around the world. Where do I see Golden Key going in the future? In the world environment today, I think that it is incumbent on the Honor Society to find ways to better deliver new and more extensive benefits to our members, so they become more empowered. And the core benefits of Golden Key will remain unchanged. Members know they are part of a quality organization that will help them advance their careers, make valuable connections, and enjoy unequaled opportunities to grow and make contributions to their communities and the world.